I think Roseferno should have an ability other than Suction Cups; it just doesn't seem to fit. Maybe keep Chlorophyll or maybe even give it Drought. I have to laugh at the squirrels. The concept of Squirelichute is kind of funny. It's great! I know this maybe be because i rarely teach my pokemon non offensive moves but i think you would have to be mad to actually waste 1 of your moves on these. I can think of situations these would be useful but these situations aren't common enough for these moves to be hidden up your sleeve. E.g. Quash, i can see it being useful in Double/Triple Battles where you use it so your slower partner can attack ahead of the targeted Pokemon rather than being KO'd by them. But then its pretty pointless in Single/Rotation Battles and if your Pokemon is actually slower than the target. Just a couple of suggestions there for you there. Also is it a possibility that could you add another 5 TM's then that would be up to a total of 100 TM'S? Quash, Telekinesis and Thief, OK, Ally Switch, not so much. Taunt, no chance. It's the most powerful anti-wall move in the game. Extremely useful. Generally, though, you can't remove all the "bad" TMs. It would be stupid to put moves that are good but can be learnt by a few Pokemon. The purpose of TMs isn't to be perfect, but provide moves for a wide range of Pokemon. And I totally backup Dare on Roseferno's ability. Chlorophyll or even Drought would be better. -At your guys request, Roseferno abilities will now be Chlorophyll and Flash Fire. That post has been updated. 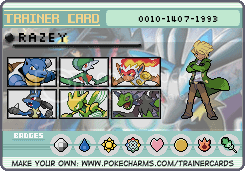 -Team Nature, Will now be Team Dryad (Thanks to Samorutt for the suggestion, I really liked that one.) Team Tech will remain Team Tech. -The returning TM list has been completed, Most of what has been removed were Tm's from Gen 5. Ive also added 5 past Gen moves to the list. I will be adding 17 new Tm's (one for each type, unless I counted wrong). @ CrazyRazey, you'll be happy to know a few of the Tm's you listed have been removed. @ChillBill, That is exactly the reason why I wanted a bit of input. I didn't want to be....to critical and only keep the powerful ones. I think the list of what I'm keeping will satisfy everyone. I will be posting a second berry list, comprising of berries that grant immunity, I'm just Ironing out the names. @Dare, Glad you like Squirelichute! I hope I didn't give you a craving for burritos though. Today I am releasing 4 evo's for old Pokemon. They are for Farfetch'd, Dunsparce, Arbok and Shroomish. Farfetch'd and Dunsparce because a-lot of people feel they deserve one, and what the people want the people get! Arbok, it came to me about the same time I thought this idea up. Shroomish.......I have no idea where it came from. I was sitting there trying to think of one more, and this guy just popped out at me. I don't really know why. I must have been craving Mushroom's or something. Without further ado, the new Evolutions! Description- Looks like an Albatross. Has brown and orange feathers. Appears to be very monk like in its appearance. Has a spiritual/ "I can kill you with my pinky finger" look. Its eyes are calm, and devoid of rage or hatred. Holds a rather LARGE staff like Leek in one wing. Pokedex- This Pokemon seems to have achieved some sort of spiritual awareness. Often flock together to share Leek Staff techniques. Simple version- Has chance to block super effective moves. Detailed Version- When this Pokemon is holding the item "stick", There will be a 10% chance for this Pokemon to negate the damage and effects of a super effective move. Simple version- Focuses on its technique to raise it's critical hit chance. Pokedex- Its lives high in the mountains. Its food source only comes that high 3 times a year. Simple- Holds out on berry Consumption. Description- A snake with 6 heads. Half of which have hoods like a cobra, and shorter fangs than those that do not have hoods. Is about the size of a small School bus. A purple/green color, with red and orange markings on the hoods. Each head has a meanicing look. The heads with hoods have red eyes, those with out, a Greenish color. Pokedex- Evolved when it was exposed to radiation. The six heads work very well together, catching food quickly, even though it moves rather slow. Simple Version- Increases Poison and flniching chance. Detailed- Increases Poison chance by 10% and Flinch Chance by 10%. Also any move that does not have a poison or flinch chance, now has a chance to poison(10%) and flinch(10%) the opponent. Simple- Bites and injects venom, Increases chance to flinch. Detailed- The User Bites the Opponent, Poisoning it (100% chance). The Opponent Pokemon will now also be more prone to flinching(+5%). Description- Sorta looks Like Breloom, But a bit more elderly. The Mushroom on its forehead is a bit bigger, a bit more droopy and more brown in color. The face has a Wise look to it, and a long white beard that reaches its feet. The beard covers its hands. The tail is a bit shorter, and the...."puff balls" on the tip of the tail releases spores. Is also shorter and more.....plump. It's body is more of a dull yellow color. Pokedex- Very wise and very knowledgeable about Mushrooms. It is know to give the sick medicine made from them. Simple Version-Heals with the power of Mushrooms. And there you have it! These are the ONLY new evolutions for past Pokemon I will be doing. Also, I do have an idea on what I'm doing for the dragon types. They will have 3 stages, and each Version will have an exclusive dragon. My next post will either be the Immunity berries OR the Tm list. Whichever I happen to finish first. Farcaught'd, I'd take it instantly in my team! It's the kind of pokemon I love: High speed who can deal huge damage on first turn. Hello Hello, its me again! This post will contain the berries that grant immunities! Again the format will be: name, Effect, Berries used for pollination, success chance, and growth cycle. For more information on berries please refer to my earlier post about berries. WAIT! THERE"S MORE! Since the immunity berries are just an add on to my original berry list, I'm also gonna throw in the Tm's for this gen! Aren't I a swell guy? Simple version-Removes poison status while damaging the opponent. Detailed- Removes the poison status from user and allies while also damaging the opponent(s). Does not damage allies. Simple- Releases a poison gas into the air. Detiled- The feild is covered by a poisonis gas. Any Pokemon that is not Poison or steel is now poisoned and receives DOUBLE the poison damage.If a pokemon switches in during Fallout, it is poisoned. A Pokemon that is poisoned that cures itself of poison, can not become posioned due to Fallout, unless it switches out and then back in. Poison type Pokemon heal 20 Hp per turn and evasion is raised by one stage during Fallout. Lasts 5 turns. Simple version- Emmits a Hi-pitch sound that rattles the spirit. Detailed version- User emits a Hi-pitch sound that effects the defending Pokemon's spirit. This move can hit normal type Pokemon. Simple Version- Stores Magma to raise the power of the next Fire move. Detailed- The Pokemon stores magma in it's body to increase the power of the next Fire move by 10 percent (can be increased 30%). Simple- Crouches down and waits for an opening ensuring a critical hit. Detailed- The Pokemon lays down and waits for an opening, ensuring the next move it uses is a critical hit (Increase's the critical hit rate of the next move to 100%). Detailed- Hits the opponent with a tail charged with electricity. Has a 45% chance to put the target pokemon in Paralysis. Simple- Brings forth a massive flood that damages and lower or raises speed. Detailed- A Flood is brought forth that damages mulitple opponent pokemon. It also effects the speed stat of all pokemon on the feild (Your and your opponent). If the Pokemon is a Water type, its speed is doubled for 3 turns. If the Pokemon is not a Water type, its speed is halved for 3 turns. After 3 turns, the speed stat is back to normal for all Pokemon. Simple-Lets loose a mass of earth. Significantly lowers speed of targets. Detailed- Hits the opponent Pokemon and its allies. If this move hits successfully, the Pokemon's speed stat is lowerd by 5. If the Move misses, the user must recharge. Simple- Unleases its Fury to raise its Attack power. Detailed- The User unleashes its pent up fury to max out its Attack and Sp.Att, Howver its Defense and Sp.Def are halved. Simple- Makes a past attack hit. Detailed- The base power of this attack is the last move that missed. Secondary effects(such as lowering an opponents stat or causing status) do not carry over to this move. Purely status inflicting moves do no count, Nor do One hit-Kos. Negative effects to the user do carry over though (such as recharge, or lowering one of your stats, does). Simple- Cover the foe in sap to damage and lower speed. Detailed- Covers the target in sap, which damages as well as reduces the opponents speed by 2 stages. Simple- Attacks with multiple bugs to deal damage. Detailed- For each bug type Pokemon in your party (Minus the user), the base power of this move increases by 15.
simple- Tumbles large rocks down on the foe, Has a High Critcal hit ratio. Detailed- Large rocks are hurled at the opponent. Has a High critical hit ratio. Simple Version- Strikes with a fist as hard as steel. May cause flinching. Detailed- The user strikes with a Fist thats as hard as Steel, has a 30% chacne to cause flinching. Simple- Does a fly-by to locate the target. Detailed- The Pokemon does a fly-over to pin point the target. Raises Accuracy by 1 stage. If the Pokemon is a ghost type, this move does nothing. Simple- Locks the foe in a crushing bear hug. Detailed- The opponent Pokemon is crushed in an overwheling Bear Hug. If this move goes first, the opponent Pokemon will be unable to move. Simple- Freezes the air to lower the opponets stats. And there you have it! Not only did you get the Immunity berries, you also get to check out the new Tm's! WOOOT! Let me know how you feel about the Tm List. Did I forget to bring back an important Tm? Is there a Tm in there that shouldn't? let me know what you think! I've recently started work on the new items for this Gen, so expect that list at some point. But for the next little bit, there's gonna be more new Pokemon Introduction's! I'm also gonna take a break from posting anything new tomorrow. So expect a new post Monday! I like Fallout, LynWait and Dragon Wraith, and great idea for the berries!!! You are doing good so far! ^Hey, the original berry idea was mine! It all looks good. You definitely are creative. Keep up the good work! Hello readers! Its the day after Sunday, you know what that means? THAT"S RIGHT! ANOTHER POST BY ME!, YAAAAAAAAAAAAAAAAAAAAAAAAAAAAAAAAAAAAAAAAAAAAAAAAAAAAAAAAAAAAAAAAAAAAAAAY! @GhostPony- Glad you like a few of the Tm's. As for the item list, its slowly coming along. It will be a few before that gets up. @ChillBill- HEY! At least on of those immunity berries waaas allll me. You get credit for the others though. Today's Post- The DRAGONS! Well not all the dragons, but you know, "the almost as powerful as the legendary" Dragons. Those ones. The "basic" stage of the dragons will be version exclusives, However if its traded to the other version, it will still evolve. Description- Looks like a small brown dragon. Has a short stubby tail. Its feet and wrists are wrapped in white bandages. Has a serious look, but also has a small cute factor. Its eyes are a bright yellow in color and very focused. Pokedx- This Pokemon wishes to be the strongest ever. When tryin to learn a new move, it will neither eat or sleep until it has learned it. Description- An Adult sized dragon, still brown in color and with a short stubby tail. Still has the bandages on its feet and wrists. Has a more bulky build. Eyes are still yellow with the focused look. Pokedex- Still striving to be the strongest ever, it pushes it body to the limit, and then some. Will not accept anyones help. Description- Very large brown dragon, tail disperportionatly small to its massive size. Body ripples with muscles. Arms Covered in red scars. The Bandages on its feet and wrists have been replaced by chains. Instead of wings, has two large spikes on each shoulder. Eyes are yellow, But EXTREMLY Menacing, and has a wide, toothy, and very menacing grin. Pokedex- Trainers are required to take a training course to own this Pokemon. Will attack anything without Mercy. Simple Version- Focuses its dragon essence to deliver massives hooks. Description- Is similar in size and shape to a Pixie. Light brown in color, with wilted leave wings. Looks rather sad and depressed. Pokedex- A mysterious Pokemon that seems to wilt whatever plants that are near it. Other Grass type's avoid it. Decription- Still looks very Pixie like, although a little bigger now. Hair is long (Hair would remind you of a willow tree). Wings are a little larger, but still wilted. Looks like it has been crying and has been crying for a long time. Is always in a sitting position. Pokedex- The Pokemon appears to be crying. Some say it crys for dying plants and orpahned Pokemon. Description- A large Green, Femimine looking dragon. Wings are rather large compared to the body and are made out of leaves. Has a collar of colorful flowers around its neck, and feet. Tail is rather leafy. Appears to be hopeful and happy, and has a motherly air to it. Eyes are a, light blue color, very friendly and warm. Pokedex- This Pokemon is know to raise both plants and orphaned Pokemon. Is very rarely seen fighting other pokemon in the wild. Simple version- Gains the blessing of dragons and restores health. Detailed- The Pokemon is given the blessing of dragons, healing 50% current HP, Curses Status procs, and raises the Defense and Sp.Defense of that pokemon by three stages.The user requires a Recharge After use. In Double and Triple battles, Can be used on an Ally. (In single and rotation battles, this move will only affect the user). A final round of applause for the dragons! My next post will be another Pokemon introduction post. After that I have no clue. Ive pretty well hit a bump in my Pokemon list, item List and new move list. BUT HAVE NO FEAR! Ill likely have something up my sleeve. Other than my arm, of course. Last edited by GofD on Tue Jan 08, 2013 11:38 am, edited 2 times in total. Oh great, finally non-flying dragons! I'll have to disagree with GP on this one. Lv.85 is a bit too much. A reason why many players didn't like Hydreigon was the evolution at Lv.64. Pokemon that evolve in such high levels usually have no in-game purposes, but are used solely for competitive battling. 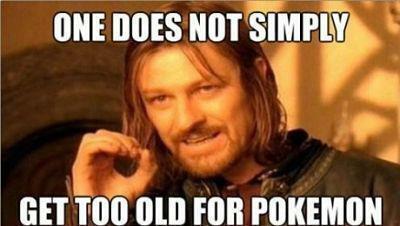 Besides, the majority of Pokemon have learned all of their moves by Lv.85, barring legendaries. For a Pokemon to evolve at that stage, it's extreme. That's what I think at least. Except from that, good job. The dragons are a success. I like the dragon's typings - They're different and different is good. i agree with 85 being to high even for a psyduo-legend. It nice idea but practically thats just too high. I've loved everything so far and I thought. Why not create a pokemon an outcast pokemon? Something like Uniqua. Maybe with a Psychic and other type combo? Just an idea. To start off with, it seems there is some disagreement with the final evolution coming at 85. As such I will be lowering the evolution lvls on the dragons from 40 to 33 and from 85 to 66. These #'s were obtained by dividing 100 by 3. Other than the issue with the lvl, people seem to really enjoy my dragons! Now as everyone is well aware, Gen 6 is coming out THIS YEAR. This does not mean I'm gonna stop my posting of my idea of a Gen. Today's post, MORE POKEMON! Description- ICE TYPE- Looks like an ogre made out of Ice with chunks of boulder mixed in with it. Is about twice the size of an adult Human. Light to dark blue in color. Appears to be rather angry. Eyes are a Dark blue. Rock type- Looks like an ogre made out of rock. Is about HALF the size of an adult human. Is dark brown in color, with streaks of bright blue ice. Appears to be throwing a tantrum. Eyes are closed, but has a wide open black mouth. Pokedex- This Pokemon seems to have the ability to shift between types, depending on the weather. Simple-Switchs between Ice and Rock type. Detailed- Depending on the move that last attacked it, it will be either Ice or Rock type. Ice is the default type. If this Pokemon, while being an Ice type, is hit by a fire type move, it will take the damage then switch to Rock type. If while being a Rock type and is hit by a water type move, the Pokemon will HEAL by the amount it would have been damaged, and change to the Ice type. Furthermore, If this Pokemon is in play during Sunny Day as an Ice type, it will lose 10Hp per turn. If this Pokemon is in either Rain Dance or Hail as an Ice type, it will heal 10 Hp per turn. No positive or negative effects of weather if this Pokemon is the Rock type. Description- Looks like a luchador made out of rocks. Is rather large, a few feet taller than the average adult. Is completely made out of rocks, its Face is covered in precious gems to make it look like its wearing a mask. Appears to be taunting. Pokedex- Once a year, this pokemon will gather in open areas to see who is the strongest. Simple- Increases the power of fighting type moves significantly. Detailed-Fighting type moves gain an increases of 35% in power, but also receive a drop in accuracy of 25%. Description- Looks like an Egg with wings. Pokedex- The Pokemon isnt fully hatched yet. It is rather clumsy and bumps into things. Description- Looks like a cross between a Chicken and a Hawk. Is a dull brown and yellow color.Seems to be rather confused. Doesn't seem to be aware about whats going. Has bright, cheerfull and oblivious look its eye's. Not the most intellgent Bird in the bird house. Pokedex- In a IQ Test with a Slowbro, 3 Alakazam's crashed, and 2 needed rebooting. Slowbro won. And another 4 Down, YAAAY! The Pokemon list is coming along quite well. The move list and item list is coming along at a bit slower pace. I hope to have those two lists up in when I finish. The chicken hawk pokemon is something I can really picture. Glad to see the confidence boost through you and not get discouraged by the new games. Who knows maybe you'll be the maker of 7th generation. Hello Hello again. Another day another post! MORE POKEMON ON THE WAY! Description- Looks like a small dog. Its front paws look like excavator shovels. Its fur is short and sleek. The yellow fur on his head looks like he is wearing a hard hat. Is a very light dull brown, sorta looks like white fur covered in dust. Pokedex- The Pokemon loves to dig. It is known to dig for weeks at a time. Description- Is about the twice of an average dog. Its front paws and arms look like they are from an excavator. Its face is sorta Bulldoze like. Still has the yellow fur on its head that looks like a Hardhat. The rest of its fur looks to be a dusty yellow. Pokedex- This Pokemon is very good at moving medium quantities of earth. Is often used on construction sites. Description-Is a giant Wiener dog (the size of a Tunnel Boring machine). Its legs are very short and stocky. Its mouth is EXTREMELY large. Short ear seem to be pinned backwards. Tail glows a bright orange. Has Dull gray, stream-like fur. Is covered in dust. Pokedex- This Pokemon's mouth is extremely Huge. Its bite is the same in size to 3 school buses. Decription- A small Herb like Pokemon. Its roots act like small legs. Its face is on the bulb (black eyes, and smile), and the leaves protruding from the bulb are its arms. Is using psychic powers to float a couple of acorns in the air. Pokedex- A plant that seems to have psychic powers. Is often seen making small seeds float. Decription- Looks like a small bright green bush. Again its roots are its feet. No noticeable arms. There is a small hole in the center where on can see two glowing, light purple eyes. A halo of seeds float around its head. Pokedex-The Pokemon seems to be in a cacoon like state. Using its psychic powers, it scatters seeds it has collected. Description- Whale sized tree being. Its Body seems to be soil, with tree trunks for arms and legs. The roots make up it's Feet and hands. Its head seems to be a Shrub bright green in color with small white flowers. Eyes are a glowy light purple color. Out of each shoulder, there is a cherry Tree growing, in full bloom. Has a "guardian" like appearance. Pokedex- Hides itself in the ground, with only its shrub head and trees on its shoulder's showing. Will attack anything that threatens the forest it protects. Simple Version(Root-in)- Digs its roots into the ground. Detailed- When this Pokemon first enters battle it digs its roots into the ground. The Pokemon can then not be switched out (either by player or the effects of an attack). This Pokemon will heal 1/8 its current HP per turn. Big thanks to Ghostpony, Who awhile back suggested a Pokemon with an ability much like Ingrain. People look to be still enjoying this. The item list MAY be coming soon. Its still looks like it needs meat in my view. Ill keep working on it, but be excpecting that sometime soon. That's it for today, Until Next time! Already liking this idea more and more. Herbyic is a pokemon I would definitely use (just want to see it move pool first.). But I think you might want to start creating some of the first few cities. The starter city for Brown could be something like Outbranch town. While the starter city for Grey could be Ironclang City? This is full of awesome ideas GofD! You've certainly put a lot of work into coming up with everything, it looks great so far. If you'd like, I thought of some ideas for a couple of Bug type 'mons. One could be a Bug/Dark mosquito with a black body, gray wings, and a long sharp nose. Its pre-evolution would be a gray maggot-looking Pokemon with a smaller nose. Their ability could be Poison Point or Hyper Cutter, and could learn moves like Bug Bite, Leech Life, Night Slash, Screech, and Bug Buzz. Another one could be a Bug/Ice type jumping spider, with icicles for the spikes on its back. Its pre-evolution would be similar, but smaller, with one icicle spike in the middle of its back. Their ability could be Ice Body or Swarm, and could learn moves like Struggle Bug, Ice Fang, Spider Web, Bounce, and Icicle Spear. It's been decided. The Psypokes will gather and take GofD to Japan, where he will work for Nintendo and GameFreak for the future Pokemon games. Accomodation is included. Very good. Very good indeed. My only problem is the way your dogs remind me of Excadrill (type-abilities) but that's a personal opinion, and it doesn't mean the dogs aren't nice. @ James: I've actually started writing the walkthrough. I like those 2 city names though, Might use them later on. @ Twistedturtwig: I actually read your post yesterday and it helped me come up with two new Pokemon! They will be in tomorrow's post. So look forward to that! @ ChillBill: Better let me pack first! As for the dogs, I couldn't really think up of a better typing. @ Ghostpony: Thanks! glad you like the typing! Description- Is a small light blue and white rabbit. Is about the same size as a normal rabbit. Its body is a light blue. Its ears are long, white and Jagged, like icesicles, its tail is also white and rather jagged. Has a large cute factor. Has light brown eyes, and has an alert look. Pokedex- A hardy rabbit that live high in the mountains. It survives on nothing but Ice. Description- Looks like a human sized rabbit. Walks on its hind legs. Body is light blue in color, and the fur looks like icecicles. Ears are rather large, white and jagged. Eyes are still light brown. Has a serious and alert look. Front teeth are rather long. Pokedex-This Pokemon is able to travel quite well in a Snowstorm. Often helps lost hikers in a Snowstorm. Description-Is a small light red and yellow rabbit. Is about the same size as a normal rabbit. Its body is a light red color. Its ears and tail are yellow, and appar to be as if they are on fire. Has a large cute factor. Has an alert look. Pokedex- A hardy rabbit that live in the desert. Has evolved to survive on sand. Description- Looks like a human sized rabbit. Walks on its hind legs. Body is a bright red, the fur appears to be "flowing" heat. Ears are rather large and appear to be on fire. Eyes are still a light brown.Has a Serious and alert look. Front teeth are rather short. Pokedex-This Pokemon is able to located water very well in the desert due to its ears. The reason why , is still unknown. Description-Looks like a Small child. Is rather Box like. Head is a square. Bright and alert white eyes, Very focused. A brownish gray ish color. Pokedex- The way this Pokemon trains depends on its natural evironment. Description- Looks like a sumo wrestler made out of Slag (the unwanted metals and minerals from the refining process of metals). Is EXTEMELY heavy. Is amix between light gray and black in color. Its skin appears to be "flowing". Is wearing a red Sumo outfit. Has a Serious and Honorable look to its face. When it moves some slag flys off. Pokedex- An extremly heavy Pokemon. When many of these Pokemon Wrestle, they can cause a small earthquake. Simple- Heals Hp when stats fall. Detailed- When this Pokemon experiances a drop in one of its stats, it heals 10 Hp per stage drop. This Ability only takes into account one stat at a time. If multiple Stats are dropped, the highest drop will be calculated for this ability. Description-Looks like a human like flower doing Yoga. Its face looks like a light pink daisy. Its hands are light purple lily's. Is not exaclty bulky, but also not exactly skinny. Has a peaceful, and happy look on its face. Its eyes are in the shape of black sunflower seeds. Pokedex- This Pokemon Will not engage in any form of aggresion. However it will defend itself if nessacary. Simple-This Pokemon always moves last. Detailed- This Pokemon will ALWAYS move last, regardless of a moves priority or effect or item held. This Pokemon's gains a 10% boost to evasion. As stated above, Ive actually started the walkthrough. Word of warning, it looks like it may be a skyscraper of text. As always, feel free to comment! Edit: I seriously have to proof read these posts better. Thanks to ChillBill, the pacifist ability now reads that the Pokemon gets a boost to its Evasion. Last edited by GofD on Thu Jan 10, 2013 8:37 am, edited 1 time in total. If this game comes out remind me not to train Tikewoon. I like the bunny ideas. The only problem so far for me is that a lot of the first evolutions are around lvl 30-40. Lower it. On every game there is always two or three standard pokemon that appear on the first route and evolve quickly. You need to create them if your going to make a walkthrough (forgive if I've forgotten one of the earlier pokemon that you created for this. I'll let you pack, no worries. I'll start with the "bad" parts. Perhaps a Lv.40 and Lv.38 evo is not that good. Maybe 33 and 35 would do better. Then again, there are many Pokemon that evolve around Lv.40. So as long as you keep a balance it's OK. When you write evasion for Pacifist, you probably mean accuracy. Moves don't have evasion. Slagumo and Yogado could be another male/female only pair. But that's up to you. Overall, well done. The ideas are good and well-thought, and you seem to take pleasure in what you're doing. Keep it up so that I can keep spamming and raise my post count mwahaha. @Ghost Pony: Of course I have great ideas. I'm a great guy after all (at least, I was once). @ChillBill and James- I am trying to keep the lvls reasonable. I do plan on mixing in some of the old Pokemon in as well, so that will HOPEFULLY help balance it out. Description- Looks part Pony, part fish....so a Pony Mermaid? The Horse part is a bright light blue in color, its main is a SHORT, light green frill. Has a playful look to its black eyes. The fish part is light green in color, made of small glistening scales. Pokedex- Often swims along side boats, in an attempt to play with those on board. Description- FEMALE: Looks like a bigger version of Ponyermaid. The Horse half is a brighter light blue, and sort of glistens in the sunlight. The mane is a bit longer. Has a calm look to its black eyes. MALE: Is rather large. The horse half is a dark blue color, its black eyes have a more aggresive look to them. The mane is a larger and a darker green color. Has a Horn protruding from the center of its head. There are spiked frills coming from its shoulder. Its Fish half is covered in Dark Green scales, that more look like they belong on a reptile than a fish. Pokedex- The male is very terratorial, and will attack anything under the water that enters its space. Doesn't seem to bother boats on the surface. Description- Looks like a giant Mosquito. Femminine in apperance. Black wings wrap around to make it look like it is wearing a dress. Has four arms, with the top left in a orb holding position (is not actually holding an orb). Has small red eyes, and a long nose/mouth. Has a commanding, seductress feeling/ look. Pokedex- This Pokemon commands an army of Mosquitervants. Although it may appear to be alone, its mosuitervants are never far. Simple- Heals by sucking HP. Detailed- In single, double, triple, rotation battles: When this pokemon damages the opponent Pokemon, this Pokemon will heal it's HP, by 1/8 of the damage dealt. In Double and Triple Battles: When this Pokemon's Hp is 1/4 or lower, a Mosquitervant, if on the feild with this Pokemon, will be sacrificed to fully heal this Pokemon's HP (Does NOT heal status conditions, or restore PP). Attack and Speed will also increase by 1 stage. Simple-Bites the opponent to heal HP. Detailed- The opponent is bitten. The Pokemon will 1/2 HP of the damage dealt. Description- An eagle sized Mosquito. Is Brown in color. Has LARGE, clueless eyes. Sorta looks like its staring at something/ in a trance. Flys eratcically. Has a rather small nose/mouth in perportion to its body. Pokedex- This Pokemon is controlled by Mosquitiress. If not, they just continually fly into a tree. Detailed- If on the feild with Mosquitiress during a double or triple battle. This Pokemon Will recive the damage of Single target attacks directed at Mosquitiress. Multiple target attacks will still deal damage to Mosquitiress. Also does not defend against weather effects. The item list will be coming soon I think. Its a little small, so if i do post it, it may have some updates. The move list is coming along slowly. I'm aiming for ~30 new moves (not including moves unique to a certain Pokemon). I have maybe the first 10-15 min of the walkthrough done. The Pokemon list is coming along rather well, although I do have writers block occassinally. As usual, feel free to comment. Is there a typing you'd like to see? An animal turned into a Pokemon? Or maybe a region name? **NOTE: We really need a region name. If you have an idea, don't be afraid to post.